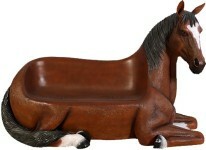 This Beautiful Life Size Horse Statue is 6' and Hand Crafted of Resin. 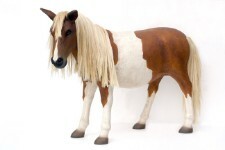 Well Detailed Life Size Horse has Synthetic Lashes, Mane and Tail. Measurements are 69"l x 26"w x 63"h and weights approx. 150 lbs.Most items are in stock and ready to be shipped. Orders can be placed securely online or by calling1-800-788-9627. 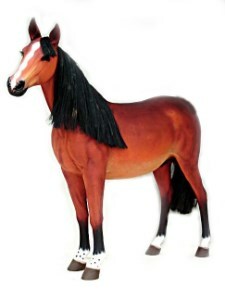 Butlers and Signs offers free standard shipping to the lower US, however other arrangements can be made. Stop, shop and buy with us today.